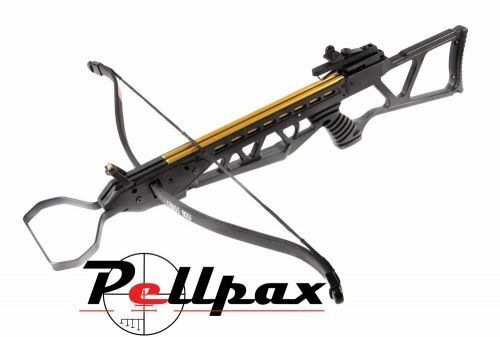 The Stealth Fibreglass crossbow from Petron is a very powerful and well made item that shoots bolts with amazing speed and power thanks to its 120lb draw weight string and limb. The accuracy is good up to around 30 yards, and with the stock being ambidextrous, both orientations of shooters can enjoy it. The crossbow comes complete with open sights, and 2 x 14 inch aluminium bolts to get you started. Add this item to your basket & spend an extra £417.01 to apply for finance.